The process to suspend or disable user accounts is in two parts and needs to be undertaken by an appropriate person with SIMS System Management and Hosted Applications User Management permissions. 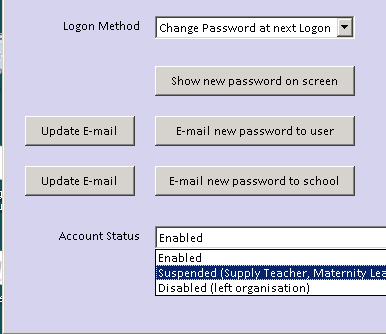 Firstly the users SIMS system manager account needs to be marked as inactive, after which their Hosted Applications account needs to be marked as disabled or suspended. Both of these actions are reversible should the member of staff return to school following a period of extended absence via an email to scomis@devon.gov.uk. Marking a users account as inactive in SIMS. 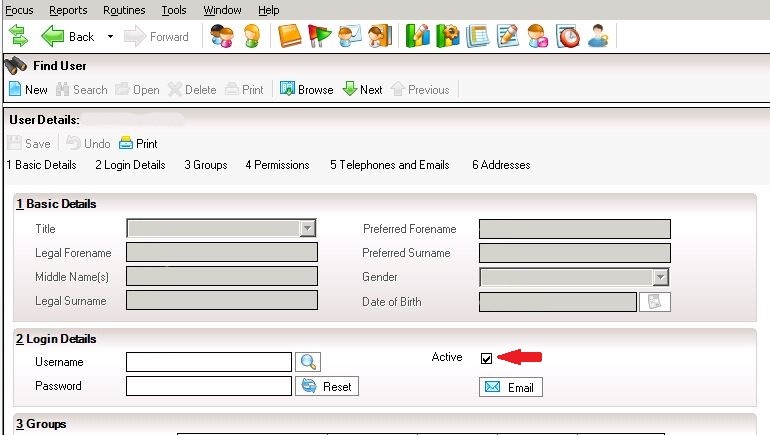 Within SIMS go to Focus > System Manager > Manage Users and find the appropriate users account. In Section 2 (Login Details) remove the tick from the box labelled Active and click on the Save button. Disabling or suspending a users Hosted Applications account. Posted in Hosted Apps, Hosted SIMS and tagged delete, disable, hosted sims, remove, suspend, user account.